A responsive redesign and investment in AdWords has seen continued improvements to site performance and sales for Widdops. Widdops have been the UK’s leading brush manufacturer for over 70 years, with parent company Bentham & Holroyd established in 1830. 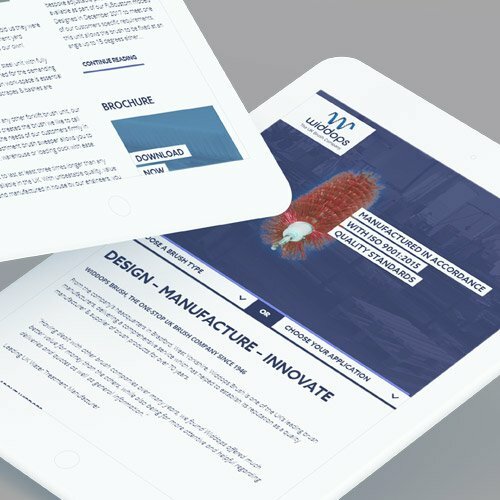 Based in Bradford, their state-of-the-art facilities mean they can to live up to their reputation and continue to deliver high quality and bespoke products. Widdops’ in-house research and production means they’ve been able to stay ahead of the curve in their industry, but their website was starting to let the side down a bit. 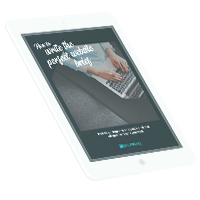 They needed a site that would work harder as a lead generation tool, providing a better user experience to potential customers. The first step would be to define the user journey for visitors to the website. From our research and discussions with the client, it was clear that not everyone came to the site with the same level of technical knowledge, so it was important to provide options for people who knew exactly what they wanted, without alienating anyone who needs a bit more info. This would be achieved by segregating the user journey into brush type, for those who know the difference between a Trommel roller and a helical brush coil, and end application, for those looking for brushes suited to their industry or project. This would have to be a key focus of the design, introducing these two different user journeys straight away. The site’s design is quite minimal, putting the focus on bold imagery of Widdops’ various products in an animated slider, with drop-down menus directing users down the two different channels prominently on the home page. Product pages feature extensive image galleries to show the full range of solutions Widdops can provide. The site is built in WordPress, with a CMS that means it’s very easy for the Widdops team to add new products as necessary, and regularly add news content. The build is fully responsive, meaning it will provide a great experience on all browsers and tablets, including phones and tablets – something that was essential for making sure Widdops were meeting best practices for SEO and UX. 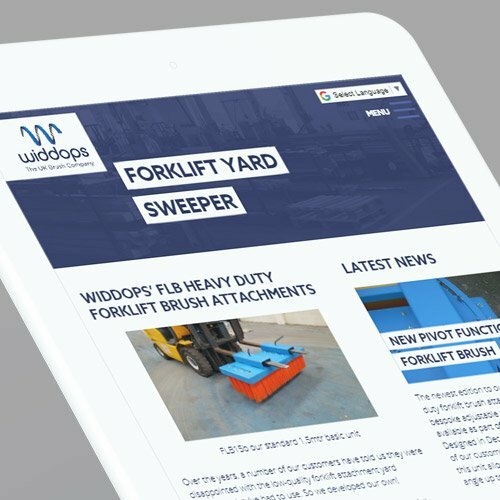 Although Widdops provided a great deal of content from their previous site, which was already content-rich, we have supported the team with writing new product pages in the time since the site has launched. As Widdops’ services are highly specialised, with many products developed in-house, the standard stock footage wouldn’t do – we went down to their factory to photograph a number of brushes to make sure we had the best-possible images on site. In order to improve lead generation through the site, we also run PPC AdWords campaigns for Widdops, targeted at a variety of industries and solutions, helping to drive highly relevant traffic through to the site. We’ll be continuing to support the Widdops team with their AdWords campaigns, as well as with any new content they require, and as ongoing maintenance. It’s been great to play such a key part in the development of a company with as rich a history as Widdops! Very helpful and friendly service throughout the design process right up to the end result. A company we will definitely be using again in the future.